Meister Werks is the Renton Audi repair and service company of choice for automobile owners who care about performance. We specialize in European and import car repair, maintenance, and customization, and are dedicated to offering reliable, quality service and customer care, all at a fair price. Our highly trained Audi repair mechanics can handle scheduled factory maintenance and other necessary adjustments to keep your automobile operating at optimal performance levels. From alignments and oil changes to engine and transmission repairs, our Audi repair experts will use their knowledge and experience to keep your vehicle purring. If your Audi starts making a strange sound or you notice the check engine light or DTC codes, it may be time to let a Audi repair professional take a look at it to see what’s wrong. Keeping up with regularly scheduled service on your vehicle and checking for problems before they become catastrophic can save you thousands of dollars in the long run. At Meister Werks, we offer professional Audi service and repair on all makes and models of Audi. Our repair mechanics are professionally trained to work on most European made cars, and have decades of combined experience to back it up. We are eager to be your Audi repair and service shop of choice, so contact us today and experience the highest level of customer care for yourself. Honesty and a fair price make up the foundation of our business philosophy. We always charge a fair price for our work and never try to up-sell our customers on parts and repairs they don’t need. Preventative maintenance is the key to maintaining the performance of your Audi. Factory recommended service also prevents minor problems from becoming major catastrophes that leave you stranded on the side of the road. From routine oil changes to alignments, our Audi repair mechanics will keep your vehicle operating at peak performance. We offer a 100-point inspection that can pinpoint problems, so you don’t have to worry when you’re behind the wheel. When you bring your Audi into our shop for service and repair, you save considerably when compared to the dealership. We also offer more personalized attention and care, and will provide you with an up-front estimate so there aren’t any surprises. We’ve earned the trust of Audi owners in Renton, and we are ready to earn yours. Keep your automobile running like the first day you drove it by scheduling your own 100-point checkup today. Our mechanics will check your tire pressure, top off your fluids, and make sure there aren’t any hidden issues with your Audi. Sometimes, even a Audi will break down. If your automobile starts making a strange noise, don’t wait to bring it in for an inspection. Even small problems can turn into major repairs, if ignored. The quicker our mechanics can take a look at your Audi, the better our chance of keeping the cost and scope of the repair to a minimum. Even the finest Audi will occasionally need repair. If you have a problem with yours, we can get you back on the road in no time. We install only factory-recommended parts according to Audi’ stringent specifications, ensuring the performance and lifespan of your car. Our mechanics are fully trained to repair Audi automobiles, and the experience required to apply that knowledge. As a small family owned Renton business, we are able to offer better prices than the major dealerships while providing you with customer care that far surpasses that of larger shops. We know that you take a great deal of pride in your Audi, so we treat your vehicle as if it were our own. If you desire a little something extra from your Audi, we offer performance upgrades and customizations that will turn heads and maximize performance. Contact our shop in Renton to schedule a free consultation about your Audi and find out how we can turn into a true one-of-a-kind. As European automobile enthusiasts, we love working on Audi vehicles. We appreciate fine automobiles just as much as you do, which is why we treat every Audi like it was our own. Everyone at our shop is dedicated to hard work, dependability, and maintaining the highest level of customer care. We will treat you fairly when it comes to the price, do the job right the first time, and remain entirely honest in all of our business dealings. We’ve earned our reputation for a reason, so contact our Renton Audi repair specialists today for your own free consultation. With its four rings that identify one of the oldest manufacturers of automobiles in Germany, they also represent s one of the most multi-storied histories ever told about the automobile. 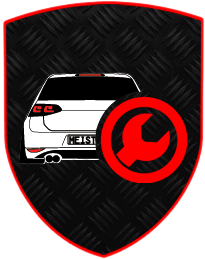 The symbol represents the amalgamation of the four formerly independent automobile manufacturers in 1932, which are Wanderer, Horch, DKW, and Audi. These companies established the core of what is currently known as AUDI AG. It was 1899 when the history of Audi started when a man named August Horch established Horch and Company, in Cologne. This was where he helped to construct his first automobile. However, August Horch left the company and established a second company following differences of opinion with the board. Horch became Audi since his last name was already being used and was protected by trademark, he selected the Latin translation for the new company. This unique idea was the brainchild of the son of one of his business partners. August Horch was very successfully in making the Audi automobile known internationally in only a few years, as the result of his victorious involvement in the Austrian Alpine Runs. August Horch withdrew from the company and relocated to Berlin to become and independent automotive expert, following World War I. Automotive experts know all about the storied past of Audi and also know all about the invention of the legendary all-wheel drive Audi Quattro as well as the production of the first left hand drive vehicle. It wasn’t long before Audi became one of the most respected names in the automotive industry. August Horch formed the company A. Horch and Company in 1899, and started developing the very first Horch automobiles. He left the company in 1909, after a dispute with his supervisory board, and started another company. This new company became famous as the result of its winning streak at the International Austrian Alpine Run between 1911 and 1914. Sometime later it joined forces with four other companies to establish the Audi brand of automobile. Every Audi automobile has been inspired by a primary philosophy of the highest quality performance, the most modern intelligent technology, and beautiful design, throughout the long history of the Audi automobile. This is true without even one compromise in quality in every single detail. It is values like these that are continually driving the Audi automobile into the future. Those that have the courage to reimagine what is possible often achieve greatness. Those who push performance to the limits often defy tradition. These are the people who engineer more efficient and lighter automobiles. This requires intelligent and innovative technology that anticipate the requirements of drivers. In addition, the design silhouettes often defy the current trends. This is the kind of spirit that drives Audi automobiles. The commitment to motorsports is more than simply a show. It is a proving ground for technology of the Audi automobile. It has been repeatedly demonstrated that the racetrack has been a laboratory for successfully creating Audi automobile innovations which are revolutionary. The TFSA, developed by Audi combines forced induction turbocharging or supercharging with direct injection. This produces amazing responsiveness by unleashing greater fuel efficiency with higher power output. This makes the driver feel like an extension of the engine. This performance engineering for the driver was tuned for the open road and born on the racetrack. The Audi automobile innovation is intended to make every moment in an Audi performance model automobile more epic than the previous moment. Reinforced by the checkered flag and proven on the race track, which has been a proving ground for the technology for the Audi automobile. This commitment to motorsports is a science. It has been repeatedly shown that the racetrack is a laboratory for the successful development of Audi automobile revolutionary innovations. For 2016, the Audi Sport was basically a redesigned the Audi R18. This LMP1 race car competes in the 24 hours of Le Mans and the FIA WEC (World Endurance Championship), which offers innovative aerodynamics and symbolizes the next phase of lightweight design in addition to a modified hybrid system that uses lithium-ion batteries for the storage of energy storage. The Audi automobile Sport customer’s racing philosophy is embodied by challenge. The spirit of the men and women, as well as the brand that strive for victory is embodied by pushing the production vehicles, such as the Audi R8 automobile to its limits. The Audi Sport automobile customer racing has reached the top of the grid by winning at such prestigious racetracks in the Pirelli World Challenge and the Weather Tech Sports Car Championship in the United States. It was during the 1980’s when the Audi automobile was launched with the now legendary all-wheel drive Audi Quattro. This vehicle dominated the World Rally Championship. In addition, there were consecutive wins in the 24 hours of Le Mans. With the development of the revolutionary TDI diesel engine, these victories continued. This engine increased fuel efficiency as well as power. Ultimately, these many pioneering innovations were placed into production models, which used racetrack performance on the open road. That is what makes the Audi automobile a winner.